"We are so bad at high-fiving." "That song came out in 1999. So, it's been bothering me for 12 years." 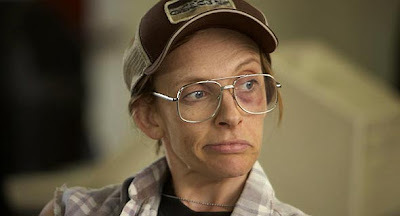 Toni Collette, in her role as Buck, aka 'this guy'. "I didn't sleep. I laid down, I closed my eyes. I did everything right." "Aw, man, I just smelled Thailand. Do you smell that?" "Well, does your mom like how I look?" **Looking for your Kady-isms fix?? CLICK HERE.